Private employers in Wyoming created a total of 6,900 new jobs last year, with the bulk of the expansion over 2017 happening in the second and third quarters. Notably, it was not mining that pulled the load - that was done instead primarily by: construction; health care and social assistance; and accommodation and food services. 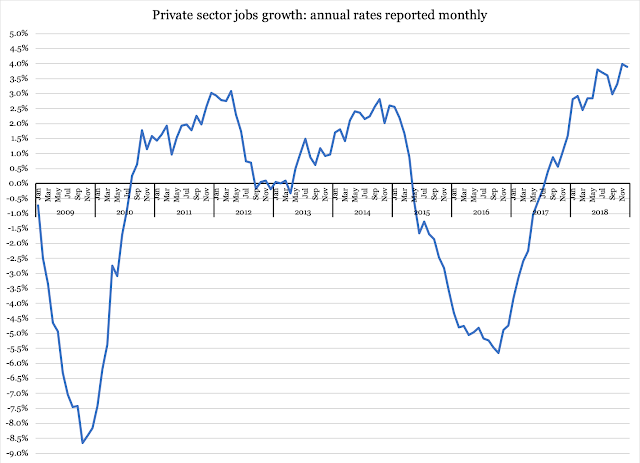 The rest of the private sector added jobs modestly or stayed flat (except for the "other services" category which actually lost jobs). 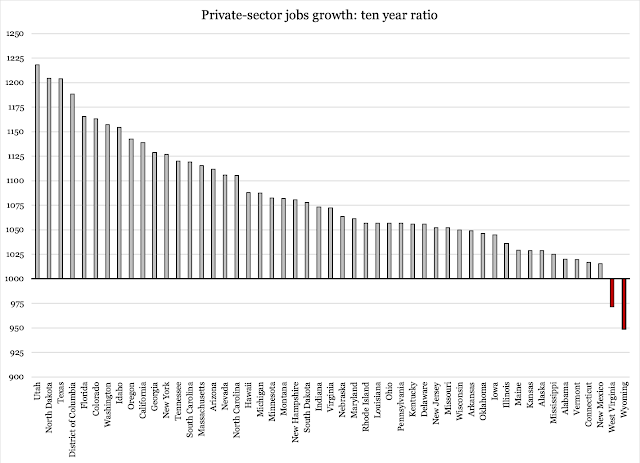 It is, of course, good to see that our state's economy is out of its most recent downturn. I predicted this a year ago, but more important is the fact that our legislators could easily squander this recovery by slapping higher taxes on it. For example, there is HB66, the lodging-tax bill which was approved by the House on January 17. It has now been received by the Senate, where there will hopefully be a discussion about the prudence in putting a five-percent tax on the services provided by one of the few growing industries in our state. 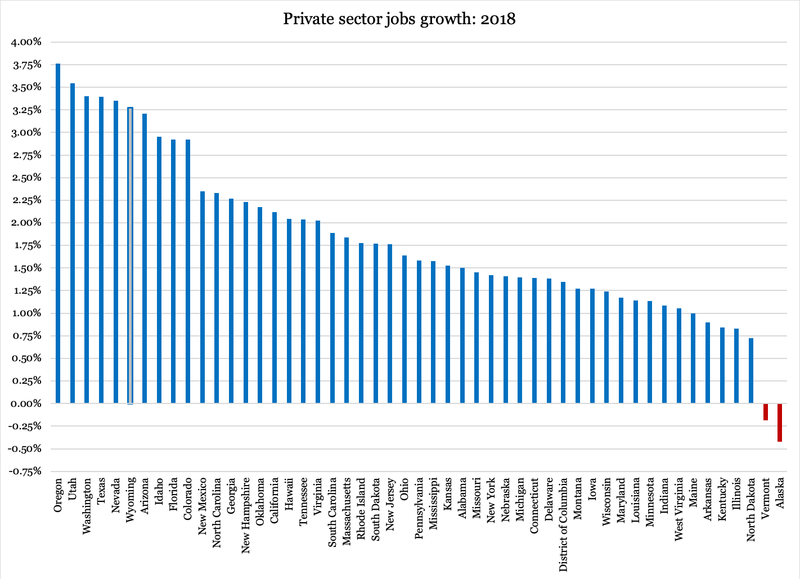 The fact that we did well in 2018 is, again, worth noting and celebrating, but the last thing we need to do now is to hurt our state's employers with more taxes.